B&V has its "camera" pod, all I need to do now is grab some passing dignitary to preside over the "fitting of the propeller ceremony" and she is done. Hopefully photos of this and my other two recent finishes this weekend. Where's the 'camera' pod go then? It's a rather large tank made from one fitted to a Do 217 I think ? 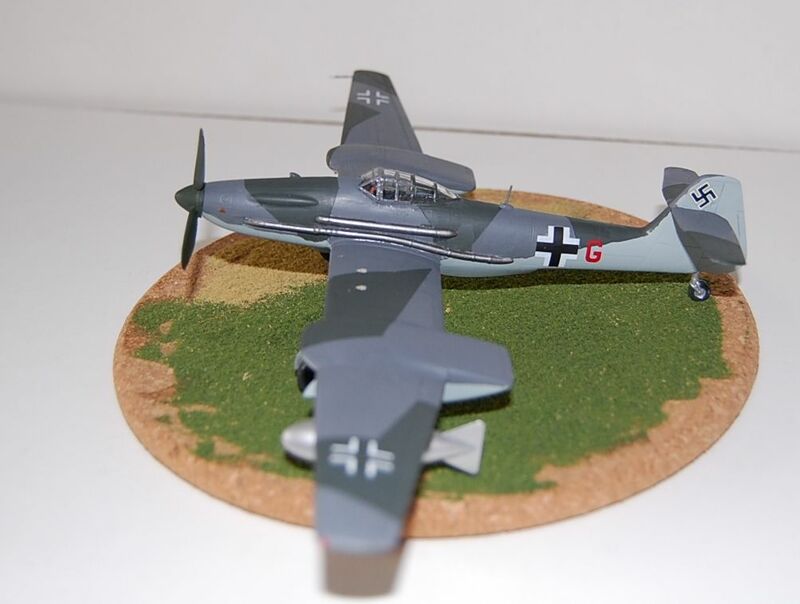 Possibly a Me 110 ? Right so here's my 3 most recently finished Wiffs. Now I've completed these 3 I've moved on to the next 3 on the list. 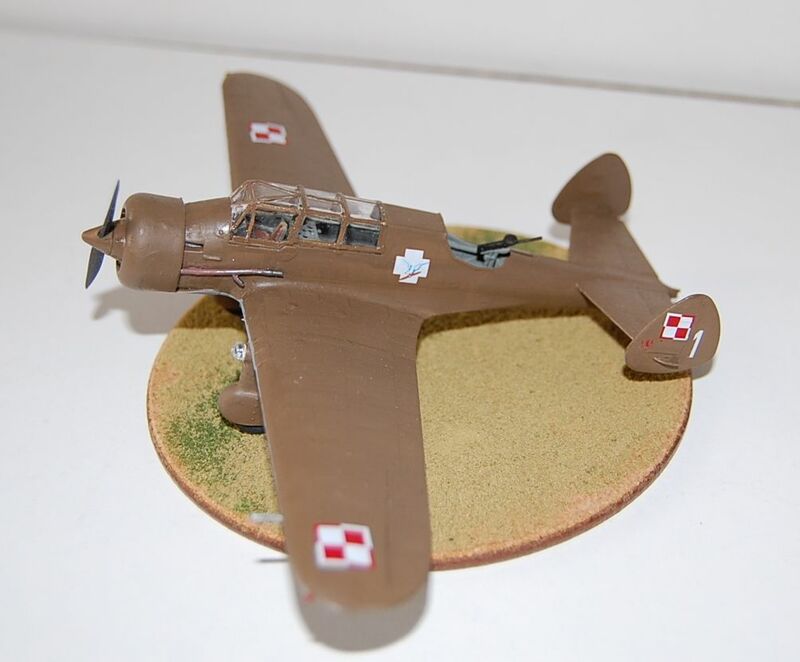 A new tool Airfix Mitchell, the recently re-released Airfix Hawker Typhoon and the AZ Me 109K-14. 2 of these will be built real world whilst the 109 is a wif in a box. 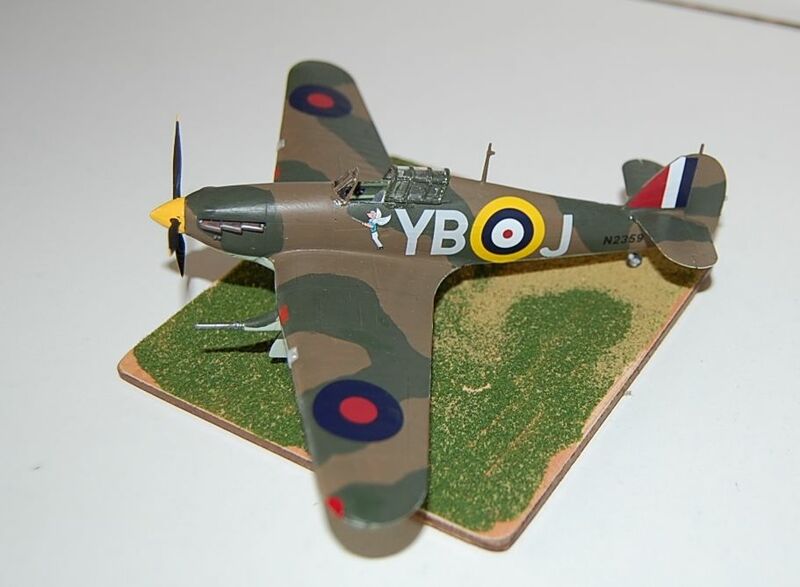 The Typhoon is one of Airfix's earlier kits during this most recent resurrection of the company and does not, perhaps, have the same level of finesse as, say, the Mitchell for instance. Never the less it is still very nice and goes together well and easily. The only noticeable difference between this recent release and the earlier ones is that this one has some very thin flash around some of the smaller detail parts in particular. Nothing that a seconds work with a new No 11 blade can't deal with, but it is noticeable, and yes I did compare it with one of my boxing's of the first release. I wonder if it's a "function" of the softer plastic Airfix seem to use ? Started to get some paint on the interiors over the weekend. I've one "real" job to attend to this week and then hopefully I can get some serious modelling done over the next couple of weeks. You've done more than I have in that realm. I started to set mine up 2 years ago and found I was missing a cable and the project has been on hold ever since. Not trying to reinvent the wheel here.... simply attach a printer to a computer with the end goal of trying my hand at printing decals. Oh, and having a printer is simply nice as it is... but oh well. The real world Typhoon is together and can now start to see paint and I've started on the new tool Airfix Mitchell. Once again it will be a real world build. So far it's going together very well indeed. It's quite interesting ; although the Typhoon is a nice kit and goes together nicely the new Mitchell is right up there with the best. You can see the progress Airfix have made in front of you in the box The only slight downside to them is the plastic they use. Just a little on the soft side of the spectrum. There's obviously a reason for its use, cost ? but if they used a slightly harder plastic there would be very little to fault, if any.